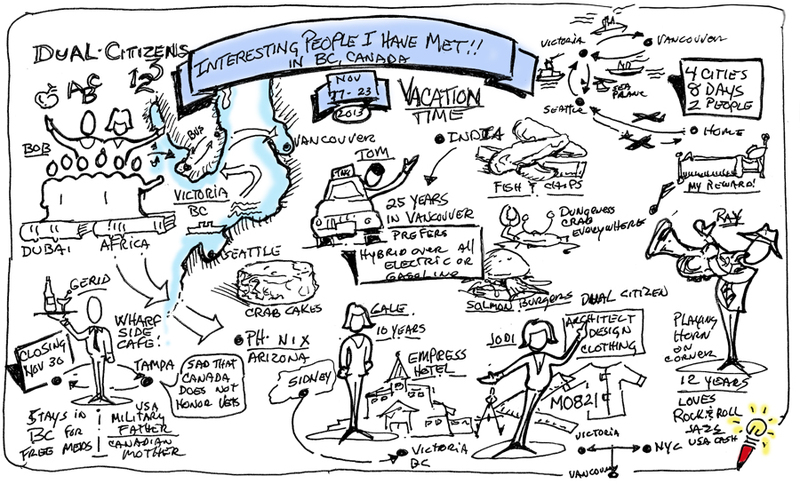 There has been much debate around sketchnoting, graphic recording and even the rise of graphic note taking or “Graphicnoting.” Though, similar in nature of recording others through the use of text and graphics, each present some unique characteristics that can help define or clarify what they are. 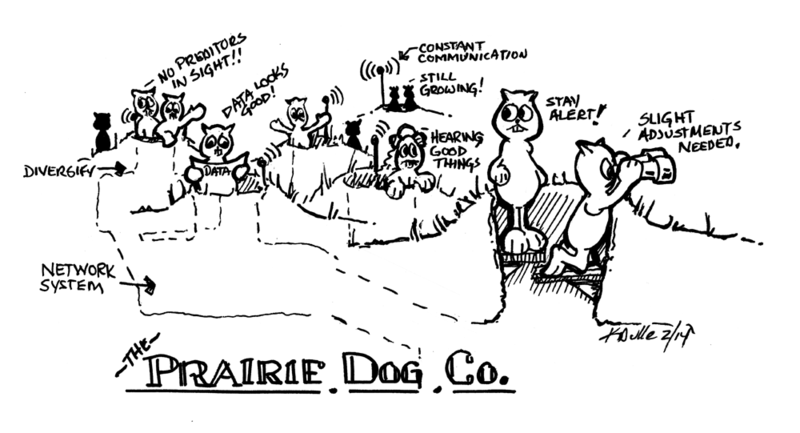 Mike Rohde is by far the best person to explain what and how sketchnotes work as he is one of the primary founders of the concept and he defines sketchnoting as being a personal tool. While on the far end of the spectrum, graphic recording has a very strong public presence by taking a public conversation and recording it for all to see. Now enter “Graphicnoting.” Graphicnoting is something I am all too familiar with as this is my preferred method of visual recording. The process can be explained like this; recording graphically a public conversation at a semi-personal level, then sharing to the present and non-present public. Graphicnoting is performed on a smaller scale than that of traditional wall graphic recording, yet with very similar processes formats. Unlike large wall graphic recording, graphicnotes utilizes a more portable media like that of sketchnotes. 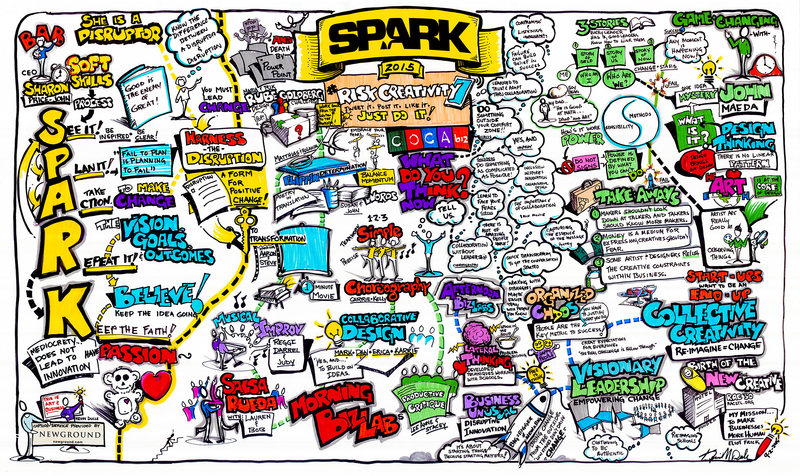 I see Graphicnotes as bridging the gap between the personal tool and the public performance. On a last note on production, once completing a graphicnote on paper, the inked pages are digitized, colorized and then publish as needed. There are other ways of creating these graphicnotes such as the use of tablets which allow the creation of digital originals. I don’t believe or see one method being better than another. Each method is based upon the preference of the recorder. 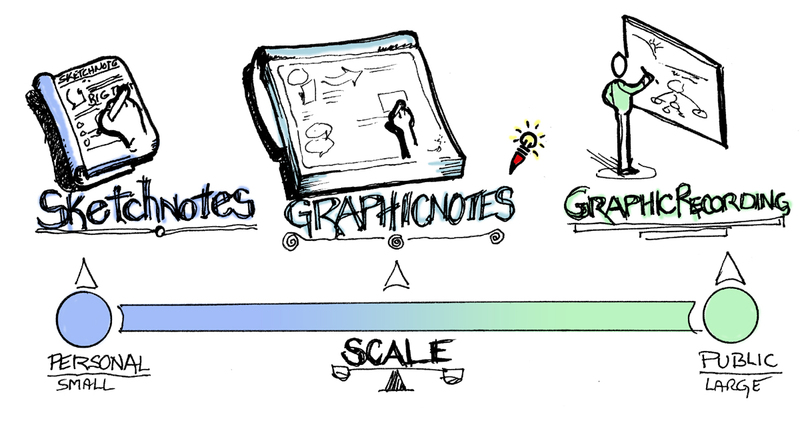 So if you want to shift from sketchnotes into graphic recording slowly or vise versa, my suggestion is try Graphicnotes where the practices and processes of both formats are used. Who knows, this may become your method of choice also. Until next time, keep your ideas sketchy and your conclusions drawn.